Wow! Wow! Wow! What an amazing chat that was! Thank you so much for sharing all of your fantastically creative ideas and just for fun, we thought it might be nice to present a little award for the most creative, innovative, funniest, cutest, inspirational visual sketch noting tweet. However, because we are aware that quite a few of you weren’t able to join us on the night, to ensure everyone has had an equal opportunity to participate we’re going to give it a few more days for the tweeting to die down and then based on your ‘votes’ we’ll award this cute little A5 note book and pencil (provided courtesy of The Centre for Learning and Teaching at Edge Hill University) to the creator of the tweet with the most likes and re-tweets, or something like that. Remember, the judges’ decision is final! While the use of visual techniques including pictures, graphs, charts, videos and patterns in letters or learning are well known, the advantages of learners creating their own visuals to help retain focus and as a technique to aid memory recall are not as well documented. However, there is a growing body of research that suggests that when combined with traditional style written notes, when learners use their own imagery, and take pictorial notes, this visual thinking, doodling with a purpose or as it more commonly known ‘sketchnoting’ can help them to manage unfamiliar ideas and concepts; to support the assimilation of information, and to build bridges between concepts, helping to internally process information and recall it more easily. In teaching we use visual resources to support learners all of the time, so in this week’s #LTHEchat we would like you to share your experiences; what are the challenges of supporting learners to engage in and develop their own visual learning? and what are the benefits of encouraging them to support their own learning in this way! Dawne Irving-Bell, PhD, is a Senior Lecturer in Teaching and Learning development within the Centre for Learning and Teaching at Edge Hill University. She has extensive experience of working in secondary, further and Higher Education settings and is a member of The Centre for Higher Education Research and Evaluation at Lancaster University. Her research interests include learner identity, specifically, the influence personal histories (experience-related beliefs) have in shaping a learner’s attitudes and approaches toward learning. Pedagogy and pedagogical approaches to STEM Education, and the Scholarship of Teaching and Learning, including the use of technology (and social media) to engage learners and enhance learning. Dawne is a Principal Fellow of the Higher Education Academy (PFHEA), leads on the University’s Graduate Teaching Assistant Teaching in Higher Education Programme, and the Postgraduate Certificate in Teaching in Higher Education Developing Practice through Pedagogic Research Module. In her current position Dawne chairs institutional enquiries and leads on university-wide strategies to enhance the student learning experience, including Personal Tutoring and Induction and Transitions. 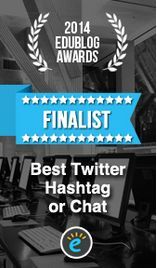 Inspired by the successful #LTHEchat monthly chat with #AdvanceHE_chat with the recent topic on “Inclusive Assessment: Where Next”, this chat on Wednesday 13th March 8pm – 9pm discusses best practices on engaging students (and staff) in assessments. The aim of the chat will be to explore the meaning behind “authenticity” within assessments, share the practices and challenges of authentic assessments and explore potential strategies and approaches to enhance authenticity. Kiu Sum (@KiuSum) is a Co-Convenor for the ‘Engaging Assessment’ Special Interest Group at RAISE, and currently sits on the committee as the Student Officer. Kiu has been involved in a number of student engagement, which led to her first publication (Sum, 2018) and becoming a reviewer in Student Engagement in Higher Education Journal (SEHEJ). Kiu has also taken on various roles in pedagogy projects, to help champion student engagement including collaborating with Jisc as their Student Partner. She has been an active #LTHEchat participant (led a few chats and part of organising team previously) and continues to work with students and staff in Higher Education by day. Jagjeet Jutley-Neilson (@J_JutleyNeilson) is the Director of Student Experience and Progression at University of Warwick (Psychology), a Senior Fellow of HEA and a Co-Convenor for the ‘Engaging Assessment’ Special Interest Group at RAISE. Prior to Warwick, Jagjeet oversees the departmental student experience activities, NSS and TEF metrics, and leads on widening participation activities, student engagement, promoting student voice and pedagogical research. She also works with student on a one to one basis focusing on employability and academic skills. Jagjeet also teaches academic skills, developmental psychology to undergraduate students, and project supervisor to PhD and undergraduate students. I have extensive experience in the delivery of international MBA programmes delivered in UK, Hong Kong, Zambia and Oman. I possess experience in the development of staff and their pedagogic approach and inform my own teaching through reflexive practice. My roles include: College Student in the identity work of international students with particular focus on diversity and inclusion . I am currently working on a number of student engagement related projects which are cross disciplinary . Honest feedback is hard. It can be hard to listen to, and difficult to give. Yet as Learning and Teaching practitioners, this is a core part of the learning process for our students; it helps them to listen and respond to challenge, and to adapt their mindset and approach. Over time, it builds resilience, and nurtures the expectation that seeking out opinions from others will ultimately end in a better outcome for everyone. But whilst we expect our students to grow and thrive through our feedback, do we hold ourselves accountable to the same expectation? Are we, as individuals and a community, receptive to feedback, using this as an opportunity to grow and learn? Between colleagues, feedback can be challenging, and in hierarchical working cultures it can be daunting. Yet, if we don’t challenge each other we only ever preserve the status quo, and inaction becomes enabling. If we were to nurture a feedback-rich culture, where we trust each other and so trust that when feedback is given it is thoughtful and thought through, we might also benefit from greater resilience and an adaptable approach, as individuals and as a community. At a time when pressure is mounting to excel at the student experience, a feedback-rich culture that is expected, lived and valued by everyone in the university could help us adapt and thrive; consciously choosing to learn rather than battle to stay the same. For this tweet chat, we want to know how we can tap into our skills in feeding back and use these to grow stronger communities in learning and teaching. We want to know how we can bring this narrative alive. Over the last six years Louise has crafted a career in marketing and communications within higher education. Specialising in professional development, Louise thrives on working with people to bring alive the stories that show the wider world who they are and why what they do matters. ‘Internationalisation’ often features in university policy strategies. Yet it is a slippery term, with a range of interpretations. We discussed ‘internationalisation’ on #LTHEchat back in 2015, but it is worth revisiting to discuss what it means and how it affects our practices now. ‘Internationalisation’ frequently refers narrowly to the strategic recruitment of international students, with financial benefits to universities through increasing numbers (Warwick and Moogan, 2013, p. 105). On the other hand, there are calls to broaden the understanding of ‘internationalisation’. A more holistic conception emphasises ‘internationalisation at home’ and the benefits for home students of studying alongside international students in an internationalised curriculum. “the diversity of the student body on university campuses provides a rich source of lived experience in cultural boundary-crossing that could be harnessed as a resource in promoting intercultural understanding and, in turn, developing graduates as global citizens” (Caruana, 2014, p. 86). This is a more fundamental transformation of the study programme for all students than a bolt-on approach of rectifying deficits by providing additional support to just international students. The pedagogical choices made by staff in the classroom are key (Elliott and Reynolds, 2014, p. 318). Leask and Carroll (2011, p. 657) call for the development of new approaches to motivate and reward intercultural interaction by all students, identifying the potential for intercultural communication. This #LTHEchat is a response to that call, with an opportunity to share experiences and ideas. “Everyone within HE can make a valuable contribution to the process of internationalisation, working in collaboration as an international academic community. Individuals bring a plurality of identities, cultures, languages and experiences that can enrich and enhance learning, teaching and research. Thus, responsibility for internationalising HE is shared among organisations, individuals and curriculum”. 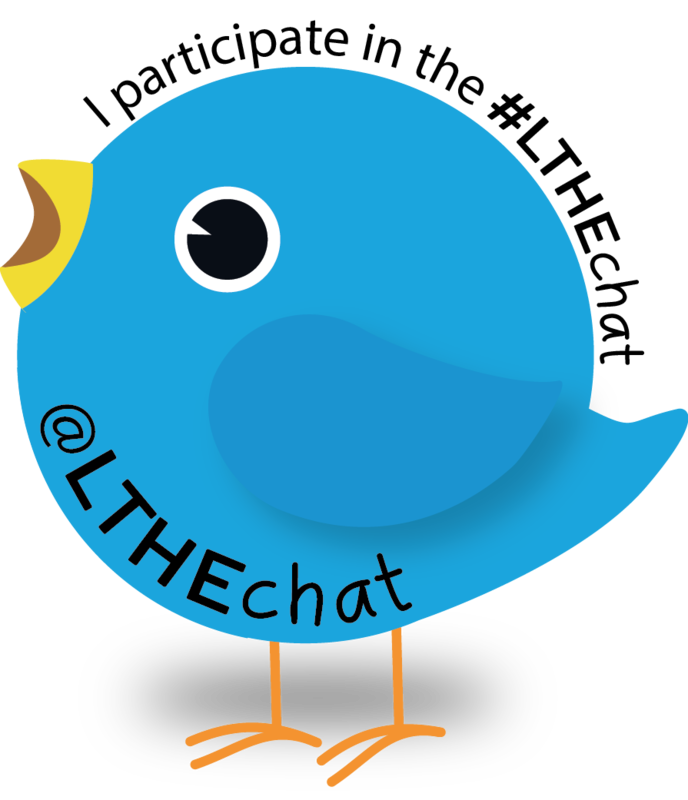 Join in the discussion on Twitter, Wednesday 20th February, 8pm GMT, #LTHEchat. Caruana, V. (2014) ‘Re-thinking Global Citizenship in Higher Education: from Cosmopolitanism and International Mobility to Cosmopolitanisation, Resilience and Resilient Thinking’, Higher Education Quarterly, 68(1), pp. 85–104. doi: 10.1111/hequ.12030. Elliott, C. J. and Reynolds, M. (2014) ‘Participative pedagogies, group work and the international classroom: an account of students’ and tutors’ experiences’, Studies in Higher Education. Routledge, 39(2), pp. 307–320. doi: 10.1080/03075079.2012.709492. Harrison, N. (2015) ‘Practice, problems and power in “internationalisation at home”: critical reflections on recent research evidence’, Teaching in Higher Education. Routledge, 20(4), pp. 412–430. doi: 10.1080/13562517.2015.1022147. Jones, E. (2017) ‘Problematising and reimagining the notion of “international student experience”’, Studies in Higher Education. Routledge, 42(5), pp. 933–943. doi: 10.1080/03075079.2017.1293880. Lantz-Deaton, C. (2017) ‘Internationalisation and the development of students’ intercultural competence’, Teaching in Higher Education. Routledge, 22(5), pp. 532–550. doi: 10.1080/13562517.2016.1273209. Leask, B. and Carroll, J. (2011) ‘Moving beyond “wishing and hoping”: internationalisation and student experiences of inclusion and engagement’, Higher Education Research & Development. Routledge , 30(5), pp. 647–659. doi: 10.1080/07294360.2011.598454. Warwick, P. and Moogan, Y. J. (2013) ‘A comparative study of perceptions of internationalisation strategies in UK universities’, Compare: A Journal of Comparative and International Education. Routledge , 43(1), pp. 102–123. doi: 10.1080/03057925.2013.746573. Jenny Lewin-Jones @JennyLewinJones is a long-standing university teacher and researcher, initially in Germany and then for 20+ years in the UK. She currently works as an Associate Lecturer on the BA English Language and Sociology courses at the University of Worcester, and is a Senior Fellow of the Higher Education Academy. Jenny is also a part-time EdD (professional doctorate) student at the University of Birmingham, researching the discourses of internationalisation in Higher Education in the UK. She tweets on language, linguistics, and education @JennyLewinJones, and runs the Sociology course Twitter account @sociologyworc. In the LTHEChat this week we would like to explore the role of the traditional student skills of note taking and critical reading. Software tools and mobile apps have been developed to allow rapid and easy access to multiple texts. Sophisticated search tools can compile a comprehensive set of resources. Lecture capture systems allow students to revisit difficult concepts. With these technologies so widely available, is note taking, and are critical reading skills, still key to student learning? And if so, how can we use the tools available to assist. This week’s LTHEChat is lead by Sue Lee and Dr Lydia Arnold. Sue Lee @suelee99 is the eLearning Manager at Staffordshire University. Sue is a Senior Fellow of the HEA and is based in Academic Development. This week we welcome visualisation wizard Scott Turner from the University of Northampton (UoN), and his colleague Gary Hill. Scott and Gary are going to get us thinking about how to teach problem solving. Problem-solving and problem-based activities are, arguably, central to both Engineering and Computing, but they have an application across many subjects. This chat will consider how problem-solving skills are developed in various subjects, giving participants the opportunity to share experiences from different subjects and explore similarities and differences. Dr Scott Turner @scottturneruon is Principal Lecturer in Widening Participation in the subject area of Computing at the University of Northampton (UoN) and regular collaborator with Gary Hill on research into problem-solving within Computing. Scott is also responsible for leading on research for the Computing subject at UoN. Dr Gary Hill @DrGaryHill1 is the Subject Leader for Computing, Business Computing and Games at the UoN. Over the last twelve years he has published on problem-solving and project-based learning applied to computing and his PhD is within this area.